This month seems to have gone past so quickly, and not in a good way - had lots of work to catch up with. 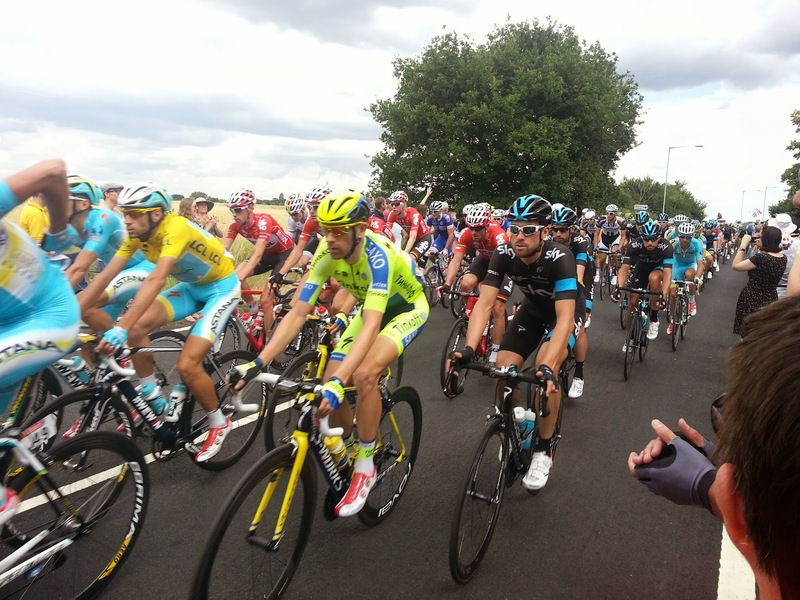 However, I did get to see the Tour de France during stage 3 - I cycled up to Chelmsford to see them shoot past. They went past very quickly - I am under no illusions as to how much faster than me professional cyclists are! Sadly I didn't get to see Cav or Wiggins for one reason or another, but I was able to pick out a few cyclists in the peloton as they shot past (Nibali, Porte and Voeckler). I've got a gallery of TdF photos here, courtesy of Geoff. We went to the Village Green festival last weekend. The day started off nicely but it was a bit too busy towards the end with the kids in tow. The weather was also really hot, which we weren't prepared for as the forecast was for a dull day. Still, we finally got to see Dan le Sac vs Scroobius Pip after missing them so many times at Glastonbury. Unfortunately the sound wasn't too great at the back, oh well. I'm doing London-Southend on Sunday, but am going to cycle to the start so that it will be over 100 miles altogether. I'm raising money for the British Heart Foundation in Barry's memory, as he died from an undiagnosed heart condition. My JustGiving page can be found here, or by clicking the button on the right.